We are delighted to announce that the GAA Scores Podcast will return for the 2018 season. 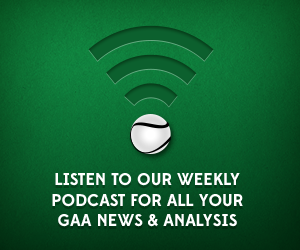 The relaunched podcast will be hosted by Conor Donnelly, Pearse Corcoran and guests discussing the very latest in Gaelic Games. Taking in both hurling and football, the show will look at the league and championship campaigns as well as discussing current GAA affairs at club and inter county level. The podcast will be available weekly on iTunes and SoundCloud. Be sure to subscribe to receive the episode as soon as it is released. The relaunch episode will be live this weekend.